Thank you so much for the comments on yesterday’s blog post. I don’t talk about that time period with anyone so it was not easy to put it out there for the whole world to see. Throughout the day today I heard from people I went to high school and college with, people who knew me during the time period that we were engaged and married (including one of my bridesmaids and several people who attended the wedding), as well as people who didn’t know me until after I married Scott. Text, phone calls, e-mails, blog comments and Facebook comments – I appreciated each one. There were a few people who contacted me privately to tell me that my story gave them hope that they would get past a similar difficult situation. Thank you for supporting me, it means a great deal to me to be reminded of the awesome people in my life. 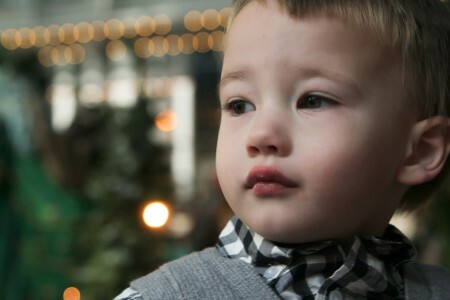 This past Saturday I scheduled a photo session with my friend Michelle to take pictures of the children and me. We planned it at the last minute and Scott had National Guard so that is why he is not included in any of the photos. The boys were largely uncooperative (ducking the camera, clinging to me), but Michelle was patient. I knew that she took a lot of pictures, but I had low expectations that there would be more than a handful of really good pictures. I only hoped there would be a few gems for the Christmas card and honestly I would have been happy with that given the behavior of the boys. You people out there with pictures of 3 smiling children on your Christmas cards – are you drugging your children, photo-shopping 3 photos together make it look like they are happy to sit together…maybe once we are past the toddler stage we will have better luck. Yesterday she sent a link to 38 photos and I started to go through them. I wrote down the numbers of the ones that I liked, but soon I realized that I loved too many and just enjoyed the rest. 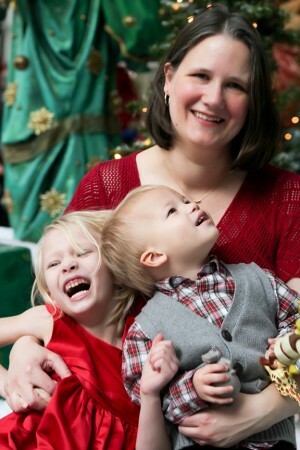 I won’t be posting my favorite pictures yet…not until I have time to design my Christmas card. 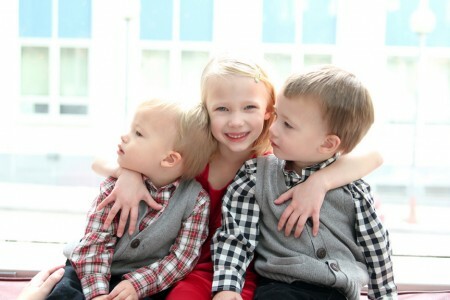 I was so happy that she was able to take pictures that are capture each one of my children in a way that is completely them – my serious Wyatt, wild Juliana and silly Ruslan. I have made an effort this year to be in front of the camera more this year and now I have several more pictures of me and at least one of my children – pictures that I love! Here are a few from our session. Those photos are precious. You have such beautiful children, Jen. Thanks for sharing them! I seriously love the last one. A lot.